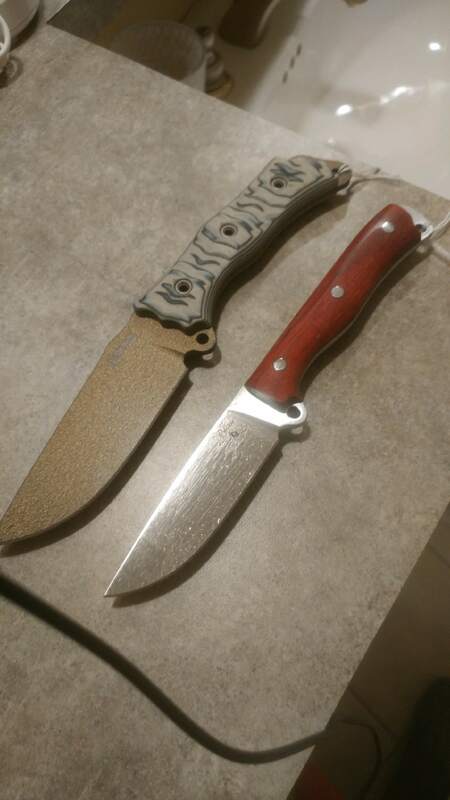 Discussion in 'Busse Combat Knives' started by oXObsidianXo, Feb 7, 2019. My $500 grab bag finally arrived last week, and I have to say I'm very pleased with it. I'd been wanting to get some smaller EDC Busse knives that I could carry more regularly, and I was not disappointed. Ended up with a Battle Grade Park Ranger and a Custom Shop Mini Mean Street. Currently in the process of getting some sheaths made, including one for the MMS. Photos are not showing for some reason. I'm glad you got some stuff you like! Then I compared the BBCode link I got to the one in the OP, and noticed that the .jpg extension was missing on the OP. Then I went back in the next post (which I posted before editing this post to add the explanation) and quoted the OP and added the .jpg extension and, as you should be able to see in the next post, it worked. Turns out coding's not nearly as hard as I thought it was. oXObsidianXo and stjones like this. It appears that if you don't use the "Get share links" and then copy the "BBCode" option, you have to add a ".jpg" to the address. And that was bracketed with the img code brackets. If you change it to: http://imgur.com/osnbno7.jpg (with the img brackets), it works. Also, both pics in the original post were the same. gk4ever2, 5seven and tuica like this. I'm willing to bet you have more motivation in your pinky finger than I do in my entire body. I didn't even want to put socks on today. So I didn't. To the OP - Nice score! Glad you got what you wanted. Thanks John, I've never used imgur so I didn't know how to properly share a picture here. My bad uploading the same picture twice. Anyone have any idea what kind of wood might be on the MMS?